What happens when I press “Skip” in the assessment window? If you click the “Skip” button, EdReady skips that question and scores it as if you answered it incorrectly. If you don't know the answer, it is better to press “Skip” to save time, and also because simply guessing the correct answer will actually hamper EdReady's capacity to give you good advice. 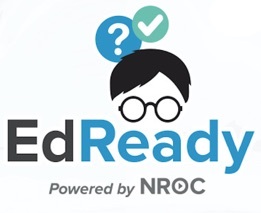 Remember, EdReady is designed to help you get prepared for college, but it only works if it can accurately measure your current levels of readiness. Don't guess! What does the progress bar mean in the test window?